This weekend there will be a super ‘blood moon’ lunar eclipse. When the moon is completely in Earth’s shadow it appears red. In a semi-rare cosmic occurrence, a total lunar eclipse will take place Sunday evening into Monday morning – and the whole thing can be seen from Houston. Lunar eclipses occur when a full moon passes into Earth’s shadow, and this particular lunar eclipse will be special for a few reasons. To start, it takes place during a so-called “supermoon,” when the moon appears larger than normal because it’s at its closest point to the Earth. This year, the moon will be completely immersed in Earth’s shadow for about an hour, giving people plenty of time to observe the phenomena. Below is when and how you can see the lunar eclipse in Houston. The moon will start moving into Earth’s shadow around 9:30 pm CST on January 20. “At that time if you go out and look at the full moon you’ll see that it starts to have a little bite taken out of it as the moon is going into the shadow,” said Hartigan. 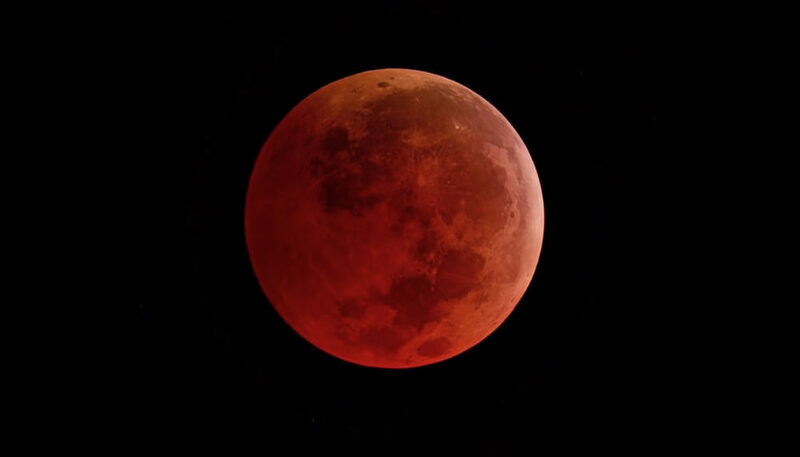 The moon will be completely in Earth’s shadow – and therefore look red – between 10:41 pm and 11:43 pm. Then between 11:43 pm and 12:51 am the moon will move back out of the shadow. “I think the best thing about this is the time of evening – it makes it really easy for everybody to go out and observe it,” Hartigan said. Though a similar eclipse will happen in 2021, it will occur at 5 am and only last about 10 minutes. “If we wanted another one that’s sort of like this one, you’d have to wait 3.5 years,” Hartigan said. And after that, there won’t be another supermoon total eclipse in the early evening until 2050. No special equipment is needed to see the eclipse, and it can be viewed from pretty much anywhere in Houston – weather permitting. Though if you do want to see it through a telescope, the Rice observatory will be open to the public. Travel a little bit farther outside of Houston, and the Houston Museum of Natural Science is also hosting a viewing at the George Observatory in Brazos Bend State Park, with telescopes available until midnight. And if the weather is bad (or you really don’t feel like going outside), Time and Date will be livestreaming the eclipse.